I am learning to link implicit and explicit in the text to give a greater understanding of the story. I find it easy because I know what a implicit and explicit idea means. My next step is to learn more about implicit and explicit ideas. I am learning to write a Character description. This week we have to write a a Character description about Grandparents, I chose the Charlie and the Chocolate factory: Grandpa Joe. I find it easy because I know how to write it and I had seen Charlie and Chocolate factory book. I had to complete a framework and then put it into a Charater Description, My next step is to learn more about Character Description. Last Friday, Room 28/29 and the whole school had the School Athletics day. I was so excited to play athletics. Firstly, we went on the field to get in our age groups, I was in the 10 year girls group, there were Year 5/6. After a while we went on the reserve to do softball we first had a practice for throwing the softball then we did the real softball and Mr Wright measures the softball after that we got our places, the first 4 people get to go to the inter school Athletics softball team. Secondly, we went to do the long jump, Mrs Walker was there to measure, meanwhile I went to had a tern and I got to the top 4 but after that we got kicked out of the 4 places, and someone else got to my place. We had another tern until we go to the shade area and play games. Thirdly, we went to the shade area and played Bean Bag and Beanzas, we split into 4 group of a,b,c,d, I was in group a, which we get the bean bags in the middle and group d as well, group b and c is throwing the balls on us when the ball hits us we need to drop the bean bag and go back to the group. After the first round group d won the game and we had another game and group a went to throw the balls to the people in group b and c after that group c won. Fourthly, we went to have a lunch break, after that we did the sprints we did 60m and 100m Abimbola and Nadini got into the inter school sprints team. After that we went to do the high jump, we first had a practice and then we did the real one, the first 4 people that went in the inter school high jump team are Mania, Tiana, Georgia and Theodora. Finally the day was over, I was so tired that I have to help the teachers to get the big mat in Room 30, when I went in Room 30 I lost my hat, never mind I am really exhausted when I finished helping, anyway my favourite activity is the high jump even though I didn't got in it. 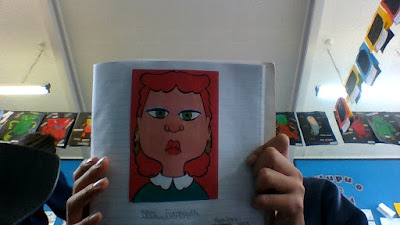 Mrs Fatmouth, a selfish and jealous teacher, was sitting and thinking as usual. She thank and thank and thank about her nasty plans to get people. Her hair as red as blood and eyes are as giant as golf balls. Her mouth is as fat as a sour gooseberry. he has 2 diamond earrings on both of her ears. Mrs Fatmouth is extremely rude and really not like people. I am learning to write a character description. I find it easy because I know how to write it. My next step is to to do learn more about character description. I am learning to investigate divisions. I find it easy because I know a little bit of division. My next step is to do more complex division learnings. Last Friday, we did Fantastic Friday with the year 3,4,5 and 6 Abimbola I did African bead work. There is a lot of activities on Fantastic Friday such as Glee, Bollywood Dance, Sewing wool crafts, Vintage games, Cool Science, Traditional sports, Ukulele and African Bead work, Abimbola and I chose the African Bead work. First, Abimbola and I went to Room 14 where we met Mrs Howard their was a lot of people there and she taught us about the African Bead Work, we watched a few pictures, we learned that in old days, African people use natural things to make necklaces and bracelets etc. such as animal fur/skin, dried leaves, stones, shells etc. Then, Mrs Howard showed us some bead work that the pass students had made it, it was really pretty, Mrs Howard wants us to make bead work on the Christmas themes, she showed us some examples about the bead work on Christmas theme, there is star, Christmas trees and reindeer etc. Abimbola and I chose a star, we had to sketch it out on the paper to make the template. We're going to do the next step which is doing the beads. Overall I have enjoyed the Fantastic Friday, I am really looking forward to do this again next week, it has been a really fun day doing African bead work and to learn about Africa. I was learning to summerise the important information from the text. I find this easy because i had read the book really properly. My next step is to do more summerising tasks. I was learning I am learning to express which things are more likely or less likely than others. We had to play the game Yahtzee with some buddies and talk about the combinations were most likely and least likely. I thought it was it was an really interesting was to learn by playing a game because it can be lots of fun playing a game when we are learning. I had to play the game first and then do the follow up that my teacher set up for us. My next step is to use probability in a different situation. On the Holidays, my sister, my friends and I went to Rainbow Ends for the whole day. I was so excited that we are going there. First, my mum drove me to Rainbow Ends, we got our ticket and went to play the rides. I went on the invader, I thought it was scary but it was not scary when I finished that ride. Second, we went on the Roller Coaster, I was so scared that because the Roller Coaster was so fast. Whatever I got on it the Roller Coaster with my tummy full of butterflies it went up and it went down and everyone screamed, it went in a loop and another loop again and finished, I was not expecting that it is not scary at all. 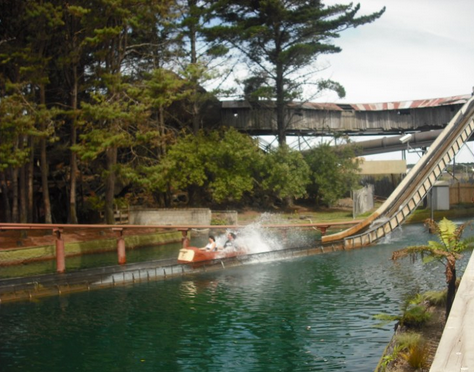 Third, we went on the log flume, one thing about the log flume is that you get water splash on you and I really like getting wet. So I went on it and after it finished I got water on my trousers. Fourth, we went on the Gold Rush, it was really like the log flume but it was really dark. Quickly we went back on the platform. Then, we watched two shows and ate lunch while watching them, we ate chips and ice cream and shared lunch that we bring. One was a Crayola show that we danced and a cool magic show it was so amazing. After the two shows we went on the family kart. My friend drove it then we had finished it. After a few minutes we went on the pirate ship a few times it was so fun because it was not scary. The last ride we went was the bumper boats and I got wet as well. I bumped into my friends on the boat and someone else I thought I will get stranger in the middle of the pool in the end but I didn't. And we finished it in few minutes. Overall, I thought it was the a brilliant day but I didn't went on some of the rides like fair fall and the stratosfear because i was to scared of it. My favourite ride was the log flume. 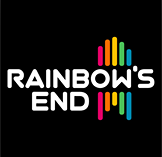 I am looking forward to go to Rainbow Ends again.